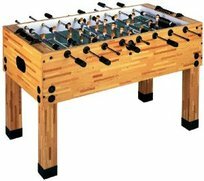 Imperial realizes that every man cave needs to have a theme so why can't your foosball table have one? 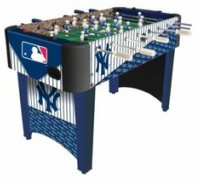 Wrapped in a full graphics pattern, this table comes equipped with logos and colors to resemble your favorite major league baseball team. 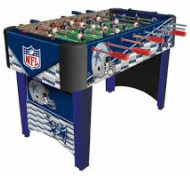 If you are a bigger football fan than baseball, we recommend taking a look at the NFL foosball table made by Imperial.